Rolex 16808 - Yellow gold Submariner with original black dial, and black bezel insert, on a 18Kt Yellow Gold Rolex Bracelet. A beautiful and unique piece! 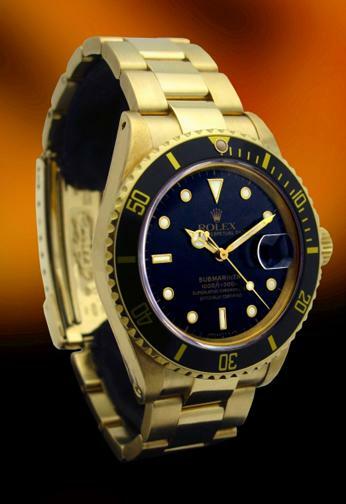 This is a rare Rolex Submariner in 18K yellow gold is a ref 16808 with Box and Papers! No comment on the watch only "Unbelievable"! The watch is like New!